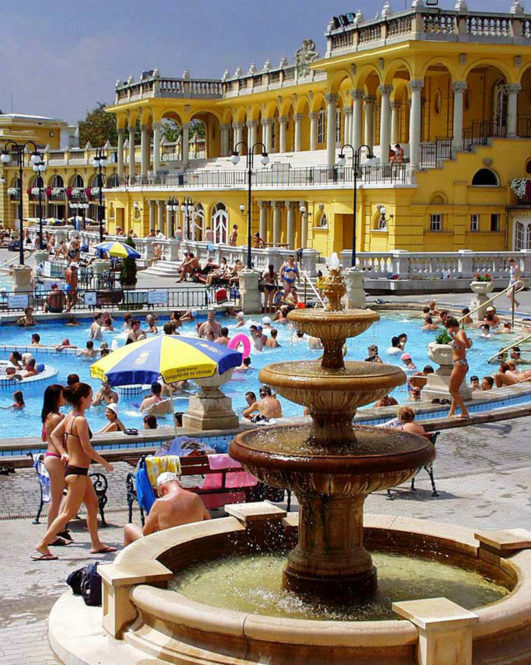 As May 1 is a public holiday, it will slightly affect the ticket prices and the opening hours of Szechenyi Baths: the thermal bath will be open as on Sundays, and tickets will be charged as weekend prices (our online bath tickets enable you to visit the baths on the weekend, full day, with private cabin and private entrance). 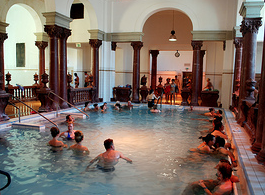 Please check back in April to see the actual opening hours in the baths on 1st of May. 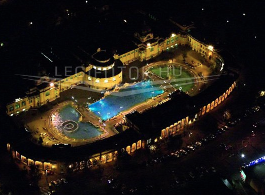 In short, you can come and visit the Szechenyi Bath, the natural spring baths, the 18 pools, the thermal facilities will be open, the massage treatments and other spa services will also be available. 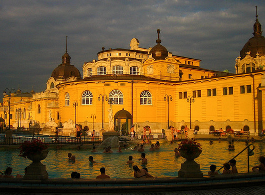 Please note that on May 1 there are more bath guests in Szechenyi Thermal Bath, and massage treatments are quickly booked up. 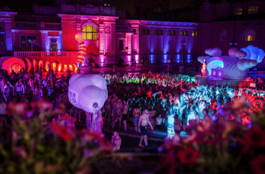 The ticket prices of Szechenyi Baths are weekend prices (as on Sundays, and on other public holidays in Hungary) on May 1, Labor Day. May 1 in Budapest is a bank holiday, when Hungarians celebrate Labor and Spring. During the Communist times it was very red themed, since 1989, when Hungary became a democratic country, it is more like a national picnic day. Is the Round outdoor pool open in may? only the thermal fun whirlpool is going to be closed until June. 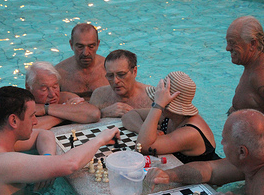 I will visit Budapest on May 4-7 and I wonder which outsider pools that will be open then? Only the outdoor Whirlpool is closed until Jun 1. The other 2 main outdoor can be used.